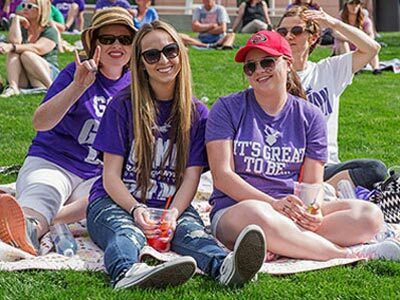 The Office of Alumni Relations' goal is to help you stay involved with what is going on at Grand Canyon University (GCU). 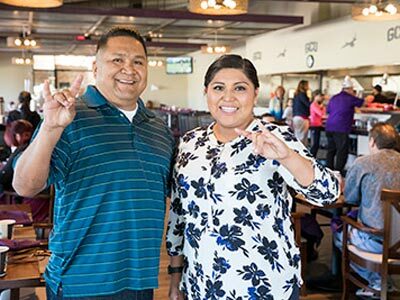 From campus events, like our annual homecoming celebration or free alumni tailgates before basketball games, to chapter events taking place across the country, you can get involved with fellow GCU alumni. We hope to see you at an event soon! 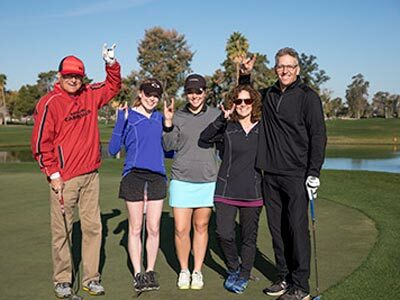 The Office of Alumni Relations sponsors a variety of events throughout the year that help you get involved and keep connected with our growing campus community. Stop by one of our upcoming events, or give back to the university by volunteering at one of our events for current students. 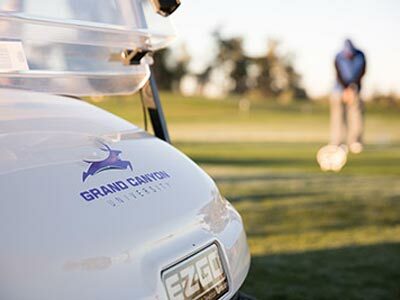 GCU Alumni are invited to stay connected by attending events on campus at venues like Ethington Theatre and GCU Arena. Join us at an upcoming concert or theatre performance. 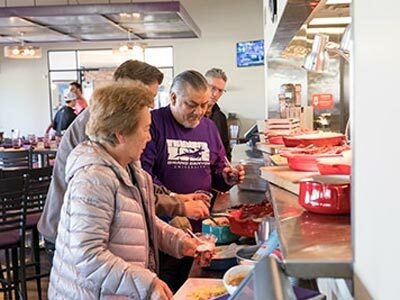 These events are a great way to connect with current students, faculty, staff and supporters of the university. 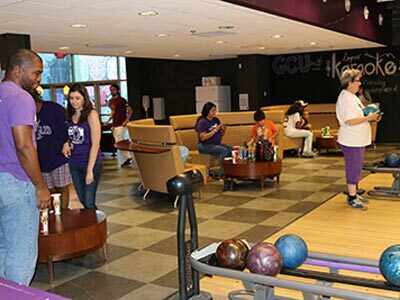 The NCAA Division I Lopes athletic competitions offer exciting entertainment for the whole family! 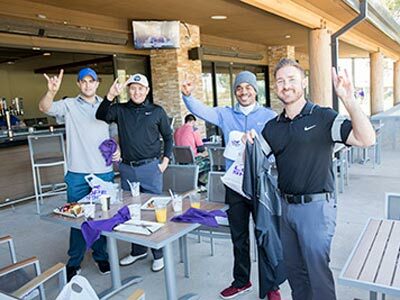 Support the Lopes as they compete in the Western Athletic Conference (WAC), and bring the whole family to join in the festivities, including free tailgates, pregame events and more. The GCU men's basketball and men's soccer teams are back in action for their fourth seasons in NCAA Division I! Catch all of the action by purchasing season tickets. 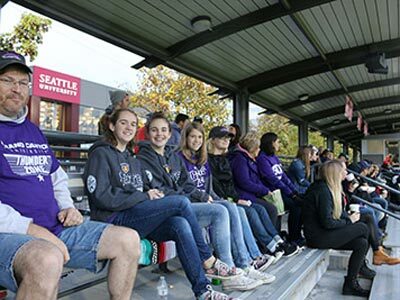 Do not miss out on the electric atmosphere and family-friendly entertainment at GCU Arena and the brand new soccer stadium. Alumni receive a discount on basketball season tickets through the Office of Alumni Relations. If you're an alumni basketball season ticket holder, get soccer season tickets at a 2 for 1 price! Don't miss a game! 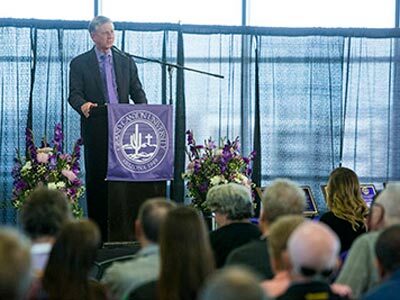 Stay up to date with Lopes on the Road and see them in a city near you. 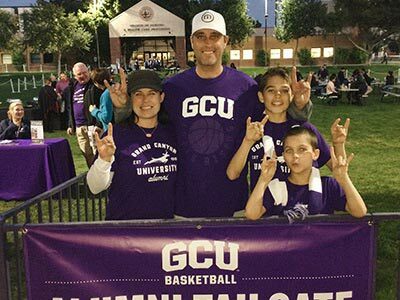 The Office of Alumni Relations hosts a family-friendly tailgate on Game Day for our men's basketball home games. 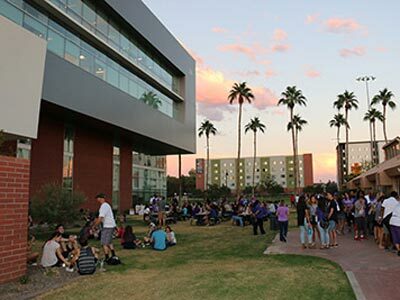 Come out, support your Lopes and enjoy a free barbeque with your guests outside GCU Arena. 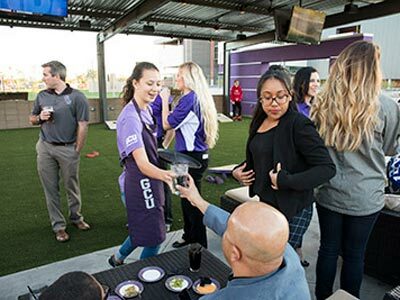 For more information about our alumni tailgates, contact us at alumni@gcu.edu or 602-639-6415. 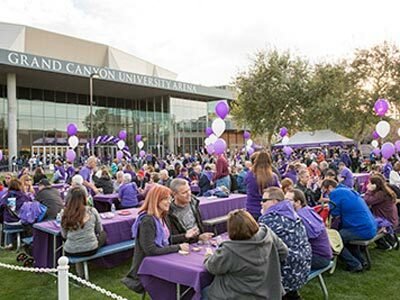 Homecoming 2019 is March 2, 2019 and is our biggest celebration of GCU alumni! 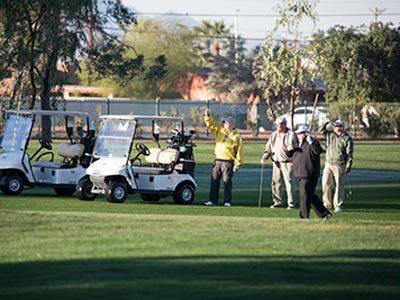 Get more information about the upcoming events, and register below. 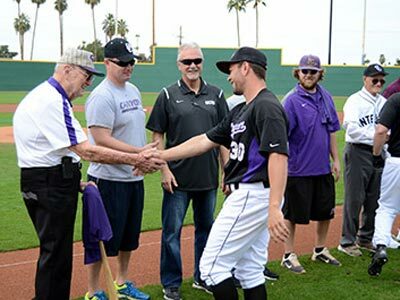 Each year at homecoming, the Office of Alumni Relations honors graduates of each college and athletes for their outstanding achievements, both during their time at the university and since graduating from GCU. 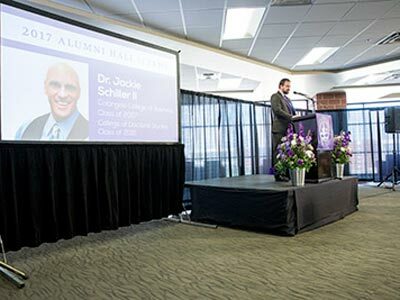 Learn more about past inductees, and nominate an outstanding alumni for the Hall of Fame! 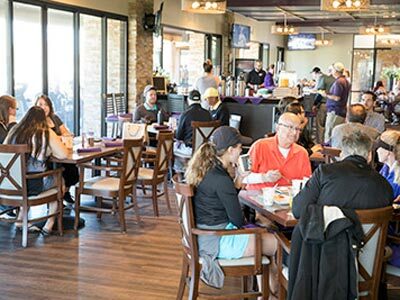 The Office of Alumni Relations hosts a variety of events to help you stay connected and show your Lope spirit all year long. Check out some of our photos from past events, including service projects, road games and more!